Officers found the suspect shirtless and irate when they arrived at a Gray's Ferry house early Saturday. A Philadelphia police sergeant shot a man in the chest at an alleged domestic dispute in Grays Ferry, a police dispatcher said. 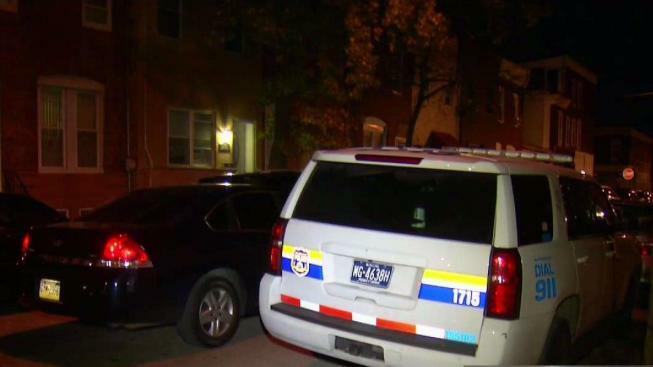 The South Philadelphia man shot by a police officer for allegedly charging with a knife inside his home was identified as Donald Williams, police said. Williams, 57, of the 1200 block of South 29th Street in the Gray's Ferry section, was shot once in the chester by Officer Robert Ellis, a 28-year veteran of the force, police said. Ellis shot Williams shortly before 2 a.m. as the suspect allegedly wielded a knife and was "coming at" the officer inside the home, the dispatcher told NBC10. Ellis and two other officers had responded to a report of a domestic disturbance at the house. A statement released by police described the initial incident as one involving a man in his 50s, a woman in her 50s, a man in his 20s and a woman in her 30s. It is unclear if the four people are related, but the statement said they all lived together in the house. When Ellis and another officer arrived, the man who would eventually be shot was shirtless and irate, the statement said. He was angry, police said, over the television and internet not working at the house, and he blamed the other three occupants. A third officer soon arrived. Minutes after arriving, police believed they had diffused the situation, but as they were leaving, the 29-year-old man yelled to them that the 57-year-old man had a knife, the statement said. Ellis, who was closest to the suspect when the officers re-entered the house, pulled his handgun. The other two officers pulled their Tasers. The suspect, however, refused demands to put the knife down, the statement said, and then lunged at the sergeant. Ellis fired a single round, striking the suspect in the chest. He remained in critical condition at Penn Presbyterian Hospital on Tuesday, police said.